London. 1850. The greatest spectacle the city has ever seen is being built in Hyde Park, and among the crowd watching two people meet. For Iris, an aspiring artist, it is the encounter of a moment - forgotten seconds later, but for Silas, a collector entranced by the strange and beautiful, that meeting marks a new beginning. A Radio 2 Book Club Choice. Elizabeth Macneal was born in Edinburgh and now lives in East London. She is a writer and potter and works from a small studio at the bottom of her garden. She read English Literature at Oxford University, before working in the City for several years. In 2017, she completed the Creative Writing MA at UEA where she was awarded the Malcolm Bradbury scholarship. 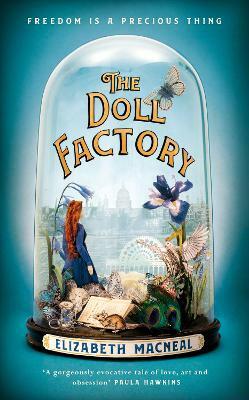 The Doll Factory, Elizabeth's debut novel, won the Caledonia Novel Award 2018.